Saadia Farqui writes just about everything you can imagine--fiction and nonfiction for kids, teens, and adults. She has a podcast about books with another author; and she trains various audiences, including faith groups and law enforcement, on topics pertaining to Islam. She has been featured in Oprah magazine in 2017, as a woman making a difference in her community. I am so excited to speak to Saadia on this special Friday Speak Out! edition of the Muffin because she truly has a lot to say encouraging all women to bring their voices to the table. On her website, she says: "I am a self-taught 'interfaith activist', which means I strongly believe that the path to peace in this world is to understand and accept other religions and ways of life as valid and valuable. Sometimes I write about that as well." 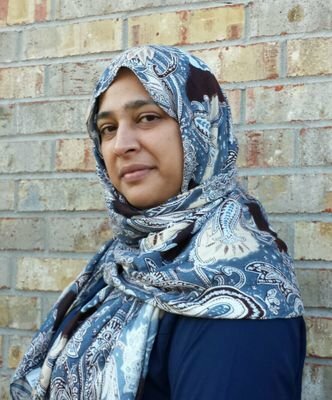 WOW: Welcome Saadia, we are thrilled to have you with us today on The Muffin to talk about your children's book series and other writing you do as well as your podcast! We have a lot of children's writers that turn to us for help, navigating the publishing world, and we are excited to add your "in the trenches advice" to their resources. 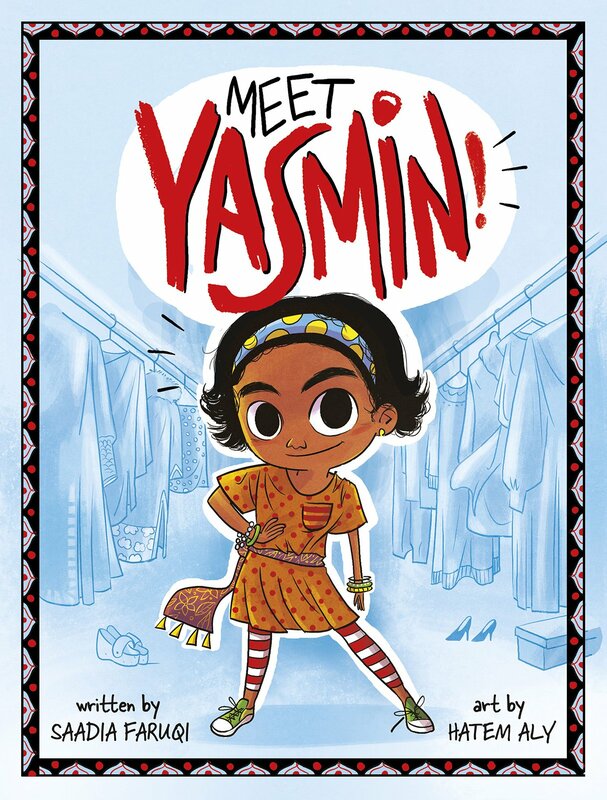 So, let's start by you telling us about your early reader chapter book, Meet Yasmin! What's it about? Why did you write it? Saadia: Thank you for having me on the website! Meet Yasmin! is a collection of four specific stories from the Yasmin series. It's an early reader, which means it's perfect for children in grades K-2 , and it focuses on the antics of a curious and imaginative second grade Pakistani American girl called Yasmin. I wrote it to give children of color a character they could identify with and relate to, in a world where the majority of children's books feature white main characters. I also hoped it would provide all readers a chance to see a different cultural perspective than the one they're used to. WOW: That sounds great for all children. Books can definitely open worlds to kids beyond their own neighborhoods and schools. How lucky we are to have an author with us who is doing that for kids! So how did you get a literary agent for your book series? And did you sell her on just the one book or other books, too? Saadia: I queried countless agents for a number of years, just like other writers. I wrote several manuscripts before this one, both children's books and adult ones. After several years of rejections and writing new manuscripts, I was able to find my agent Kari Sutherland through participating in a Twitter pitch party. I actually had an adult short story collection as well as the Yasmin series, plus a picture book at that time, and signed with Kari on the basis of all three. WOW: I think that is the first time I've talked to anyone about securing an agent during a Twitter pitch party! (Muffin readers, take note!) What is your advice to aspiring children's book authors--either about the actual writing and/or about getting published? Saadia: My advice is to continue to write even when you're getting rejected. I think back to the years in which I wasn't able to find an agent, and almost giving up, and am so thankful I didn't. I wrote many books that didn't sell, and rather than get frustrated, I realized that this wasn't a failure. I saw this as part of the process of improving my craft. I advise aspiring writers to do the same. WOW: That is great advice! Besides children's book writing, you also have a podcast titled, Lifelines: Books that Bridge the Divide. We have just started writing a lot about podcasts on WOW!, even though they've been around for a while! When and why did you start yours? Do you use it to market yourself? How can interested readers listen to your podcast? WOW: I can't wait to check that out. I've been listening to a lot of podcasts when usually I would have the TV on for background noise or when I walk my dog. It's opened up a whole new world to me! You also have quite a bit of information on your website about sensitivity training and school visits that you do. I know a lot of our new children's book writers are working on lining up school visits and other workshops. How do you set these up? Is it important to have all this information on your website? Saadia: I don't think there is any one way to set up school visits. It seems to be through word of mouth as far as my own experience goes. If you're active on social media and your book gets recognition online, teachers will be interested having you visit. I have heard of authors advertising their availability by mailing out postcards, but I'm not sure this method gets any traction. My own experience has been that teachers who follow me on Twitter share the word about my books, and then contact me via my website to inquire about my visits. That's why I think it's so important to be on social media and connecting with readers in a genuine way. WOW: I really like that you are talking about how you use Twitter. I think so many of us get bogged down on trying to be on all social media accounts; but more and more, I've seen the suggestion that specializing in one or two that you really relate to is the way to go. It seems like Twitter really works for you! That is awesome. How can our readers follow you on social media or to receive updates on your work? Saadia: I love Twitter and share most of my news there. You can follow me on www.twitter.com/saadiafaruqi or on Instagram at www.instagram.com/saadiafaruqi. WOW: Saadia, thank you very much for taking the time in your busy schedule to share your books and career with us and to help other aspiring writers. Muffin readers, please check out Saadia online or her podcast. If you are a children's book writer or have kids, don't forget to check out her books, too! Margo--Thanks for doing this interview. It's important to have diversity in children's books. Saadi--I'm glad you didn't become discouraged and quit. Writers definitely need to have thick skins. And a Twitter pitch party? Brilliant!